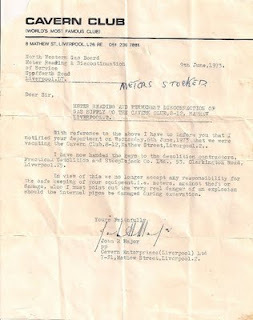 This letter on Cavern Club headed note paper is an interesting and unique slice of Cavern Club history. 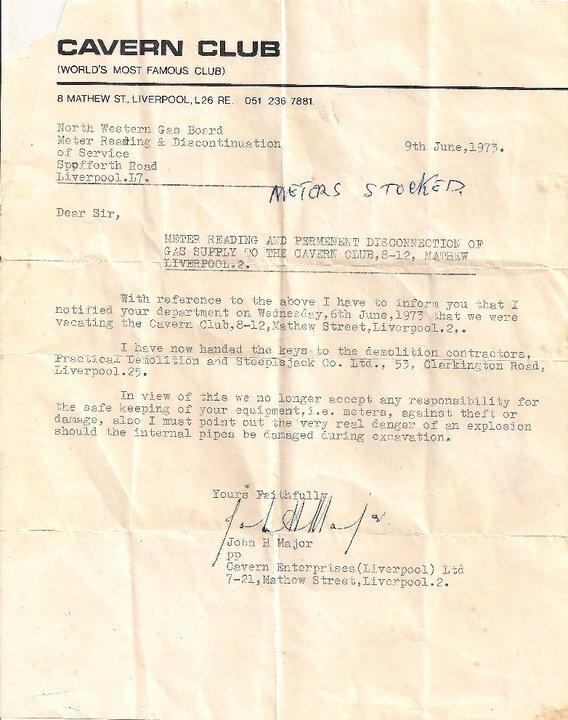 The letterhead displays the original Cavern Club address but under the signature it bears the new address for Cavern Enterprises, which was just across the road. The estimate for this one off item is £100-£120.